Xavier School of Rural Management hosted its annual Rural Living and Learning Experience Mela at the Xavier City campus. 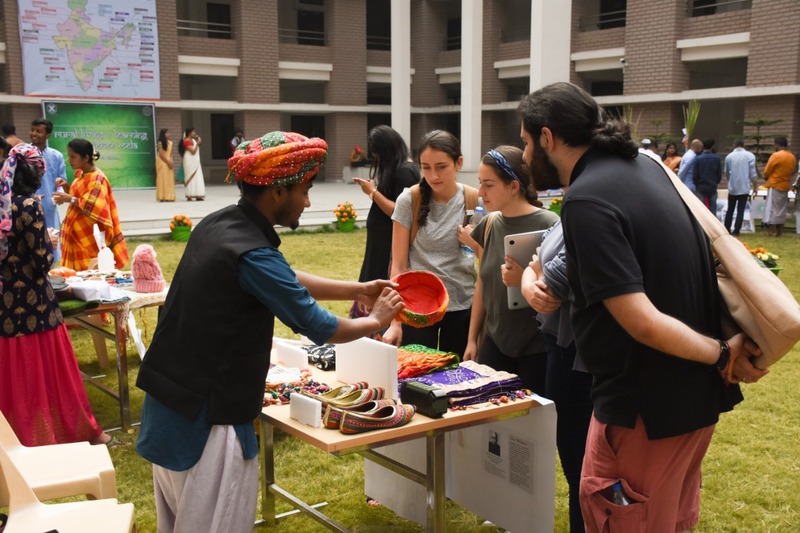 Xavier School of Rural Management hosted its annual Rural Living and Learning Experience Mela on 11th January 2019 at the Xavier City campus. RLLE is an essential didactic integrant of the Rural Management program. The main component of RLLE is animated by the conviction that the students of MBA-RM must have the willingness, capacity and drive to learn from the lives of people with whom they will work. Gram Vikas, Parivar Vikas, IBTADA, BAIF, Unnati, MYRADA, SODHANA, WOTR, Seva Mandir, NERCOMP, TRIWE, KNA-SETU, Sunbird Trust, Foundation for Ecological Survey, SGF, Shikhya, FARF, Access Development Services, RCHSS, as part of the RLLE program. The first-year students from Batch of 2018-20 stayed in villages for forty-five days to understand the society, economy, and polity in all its convolutions, and learned to comprehend the extremities faced by the communities. They carried out active projects and worked on the requisite documentation. After the return, students made formal presentations on village report, case study, development project report as part of their RLLE deliverables. The RLLE Mela is a flagship annual tradition hosted every year to display the culture, costume, developmental activities, challenges and opportunities across rural India. It marks the final event of the RLLE component. This year, Fr. S Antony Raj, S.J., Deputy Registrar, inaugurated the one-day affair at 10 A.M. The Mela continued till 4.00 PM. Faculty members, the XUB community and people from outside, visited the Mela and appreciated the effort put by the students. This year the Mela had 25 stalls, where students displayed a plethora of varied aspects of the rural life. Each stall had their respective flex, which displayed the vital details about the state, from the demography to the land use. They were dressed in their respective village attires and showcased a gamut of unique artifacts, food habits, developmental activities, photos, and models. On visit to each stall, the team members explained about all the items they had displayed. Later, a competition was held, where the 25 teams performed on their village’s idiosyncrasy. Abhishek Tripathy, Shuvam Mohanty, Pragyan Mohanty and Sonam Nayak, from team Odisha, emerged as the winners. Team Bihar and Team Maharasthra were the runner-ups. 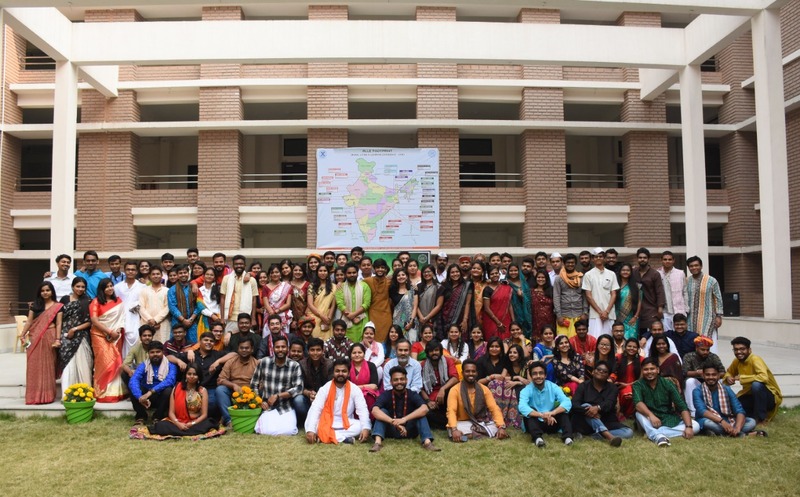 Towards the end, the students also performed a skit titled ‘Rural India and its Culture’. The mela ended on a note of exhilaration. Rural Management-PGDM-RM started with the commitment to reach the rural society and serve them with better available and evolved management tools. 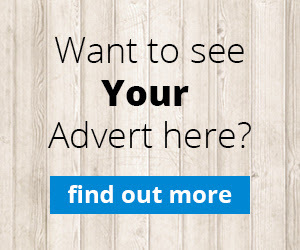 In 1995, this practice based knowledge was used to design and launch the one year Post Graduate Diploma Program in Rural Management for graduates students and NGO members. In 1999, the diploma program was upgraded to the two year Post Graduate Diploma in Management (Rural Management-PGDM-RM) program at Xavier Institute of Management, Bhubaneswar. In 2013, the program again evolved and was housed as an independent school – XSRM, under Xavier University Bhubaneswar. 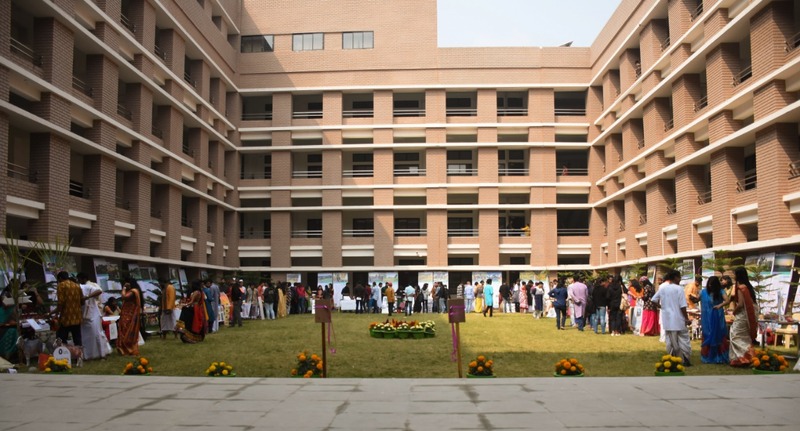 The school provides the dynamic space and the ideal platform of learning for students, working professionals, researchers and faculty, enabling them to make a difference in the social space they are engaged in. It focuses on nurturing reflective professionals and enlightened knowledge leaders who would enable the effective management of rural institutions, businesses, development programs and civil society organizations, engaged in progressive economic development and social transformation work.